Élégie Criblée de Rose (1987), Jean McEwen. Gift of Roy L. Heenan, © Estate of Jean McEwen /SODRAC (2014)The Visual Arts Collection serves as a teaching resource for McGill students and faculty as well as an enhancement of the campus environment. Each year, a select number of works are added to the Collection through the generosity of donors, providing new opportunities for teaching, research, and the training of museum professionals. All donations to the Visual Arts Collection are tax-deductible. We collect the work of professional artists whose contributions are culturally and socially significant to McGill, the city of Montréal, the province of Québec, and/or Canada. Professional artists are defined as those whose work has been recognized through exhibitions, gallery sales, and acceptance into museum collections. All donations must be unrestricted gifts and, in keeping with McGill’s gift-in-kind policy, should be revenue-neutral, meaning that the works of art should not require special conservation treatment or repair. Scenes of McGill and Her Great Men (1953), R. York Wilson. 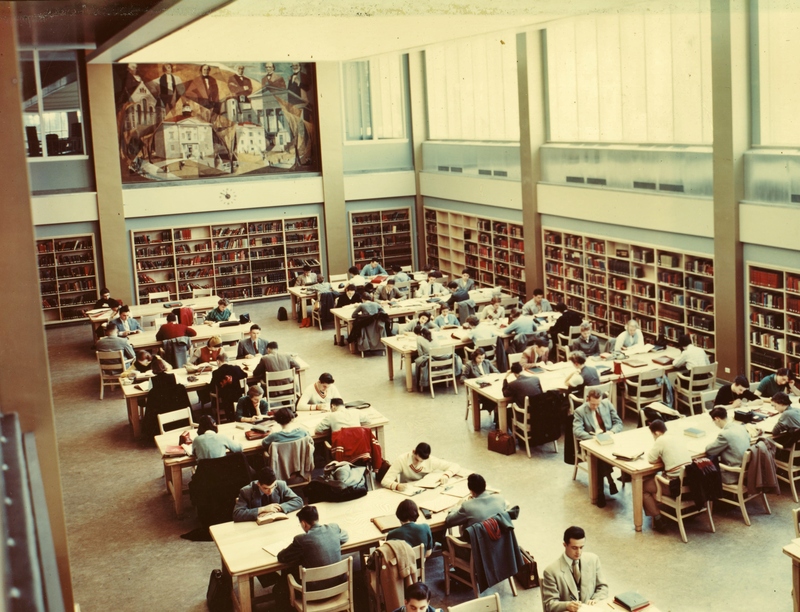 View of the Undergraduate Reading Room, Redpath Library, 1954. 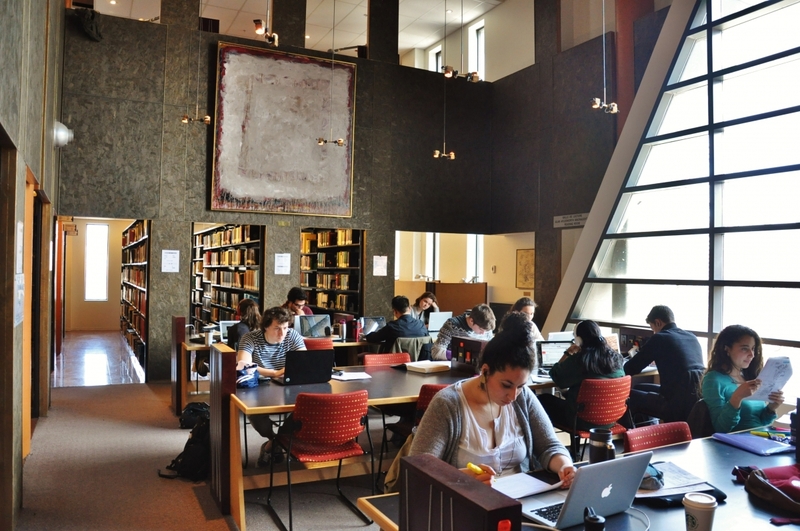 McGill University Archives, PR038012. If you are interested in making a donation to the collection, please contact gwendolyn.owens [at] mcgill.ca (Gwendolyn Owens). She can guide you through the process that begins with a discussion about the artist and the work you wish to donate. Information is then presented to the McGill Visual Arts Collection Acquisitions Advisory Committee, which reviews all potential gifts of works of art and recommends which gifts should be accepted. Once a gift is accepted, a tax receipt will be issued, based on the appraised value of the work of art.